Twitter should ask Kanye West to be its CEO — or at least a member of its board. In 72 hours, Kanye has done more to make Twitter relevant and compelling than anything its beleaguered executive team has done during the past year. The low-tech picture ignited a fire. 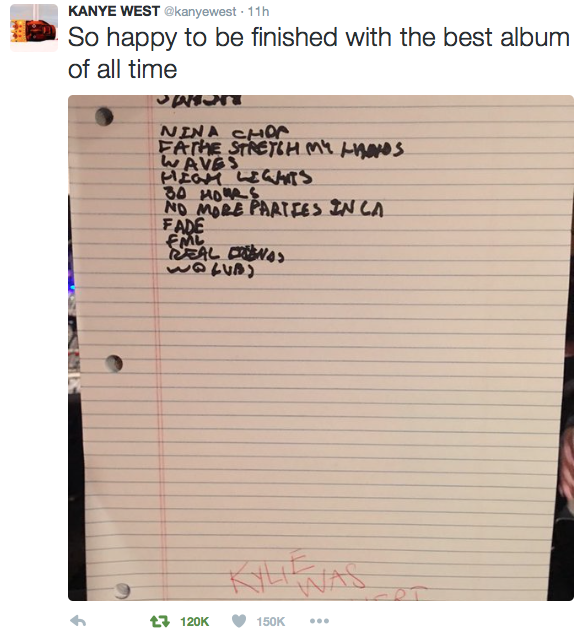 His tweet about the long-awaited album was re-tweeted 160,000 times and liked 210,000 times. But more importantly, he and Twitter both gained positive coverage in media such as Forbes and The Wall Street Journal — an incredible feat given that Twitter had announced mass executive departures the same day. For once, Twitter was not on the receiving end of doomsday coverage. Twitter rode Kanye’s coat tails and became relevant: one of the world’s biggest and controversial entertainers had chosen the platform to announce significant news. 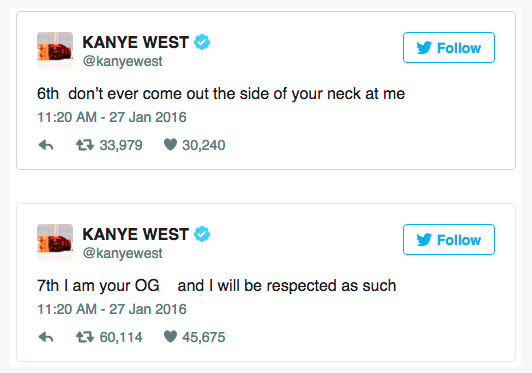 And then things got weird for Kanye — and better for Twitter. On January 26, Kanye again used Twitter to announce that he’d changed the title of his album from Swish to Waves — an action that triggered an out-of-control Twitter spat with hip-hip star Wiz Khalifa. 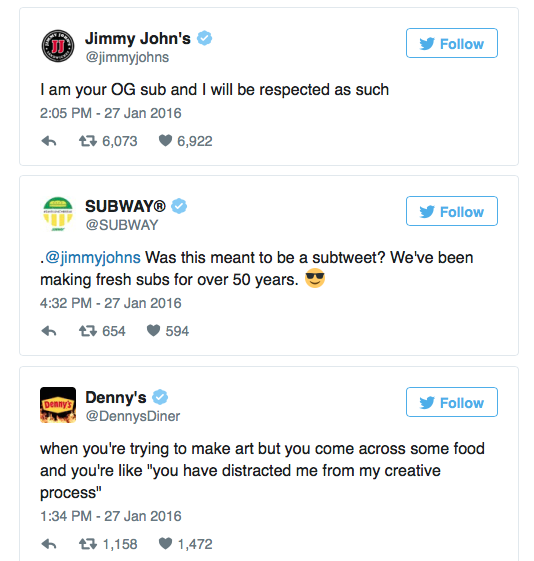 Now, hip-hop artists long ago mastered the art of the Twitter beef to boost their profiles and music sales. But Kanye is no ordinary hip-hop star. He’s an artist on a global scale who just happens to make hip-hop music. So leave it to Kanye to elevate a war of words with Khalifa to a global event — the kind that attracts the attention of the BBC and The Sydney Morning Herald. The quarrel started when Khalifa objected to the title of Kanye’s new album — and then really took off when Kanye misinterpreted a Khalifa tweet to be a disparaging remark about Kim Kardashian, aka Mrs. West. Kanye went ballistic, shooting several flaky broadsides at Khalifa, including crass remarks about his music, his fashion sense, and Khalifa’s ex-wife Amber Rose — who just happens to be Kanye’s ex-girlfriend (“you let a stripper trap you,” he tweeted, a reference one of to Rose’s past professions). Realizing that even he had crossed a line (and for Kanye, that’s saying something), Kanye deleted his critical tweets and attempted a more conciliatory line of tweeting. But the Kanye train had already left the station. Media ranging from Mashable to WIRED devoting breathless coverage to Kanye’s Twitter rant, which had generated more than 1 million retweets. And here’s the thing: these errant tweets made Twitter look good even if Kanye ended up with some egg on his face for failing to understand that Wiz Khalifa was talking about marijuana when he tweeted about “KK,” not Kim Kardashian. What I love about Twitter — and what I love about Kanye West — is that it truly exists entirely in the moment. Facebook posts are often reflective — your mother and grandmother read that stuff. Instagram is aspirational and Snapchat is either private or aspirationally weird. The public nature of Twitter — and the fact that so much of the content is literally off-the-cuff commentary — makes it wholly unique. This is especially true when it comes to celebrities. So here’s the challenge: how does Twitter monetize those moments? Everyone seems to have gotten something out of the experience: mainstream news media, brands, Twitter, and the many members of the Twitterverse who retweeted the feud. Twitter needs to figure out a way to turn those moments into money. Why not collaborate with the guy who is a genius for turning even embarrassing gaffes into marketing opportunities? He is a one-person media machine, a business mogul (his net worth is an estimated $180 million) who understands the power of cultural relevance — something Twitter needs badly. 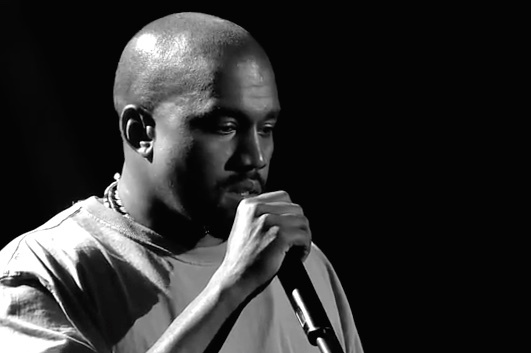 Kanye West wouldn’t have time for Twitter. But how about bringing him on as a member of its board, or even an advisor? It’s the entertainers — the Kanye Wests, the Katy Perrys, the Taylor Swifts, and Rihannas — who already rule Twitter and understand it better than anyone. Forming a relationship with Kanye is just the sort of crazy kind of move Twitter needs to make. The company is lost in a downward spiral, bleeding talent, losing money, and grasping for a way to create a sustainable advertising model. Twitter needs innovation and commercialization. Why not look to the master of both? Note: this post was inspired by a thoughful discussion about Twitter’s future sparked by Jeremiah Owyang on his Facebook wall. Thank you, Jeremiah. This entry was posted in Twitter and tagged #Swish, #Waves, Christina Warren, David Deal, hip hop, Kanye West, Mashable, Peter Rubin, social media, Superhype, Twitter, Wired, Wiz Khalifa. Bookmark the permalink. Thank you for weighing in, Amanda! I agree with you. How\’s that #FeelGoodMusic? No problem David!! Its my pleasure…Gearing to release Lo-Ceilings real soon along with some Lo-Down Webisodes, just another way to entertain the music industry- Keep an eye out:) Thank you for always supporting us! Blesings to you all! !